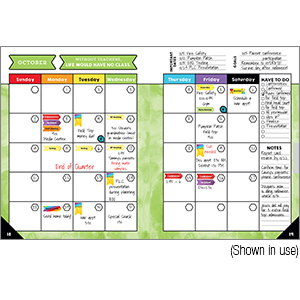 Organize your school year in style with the comprehensive wire-bound Celebrate Learning Teacher Planner. 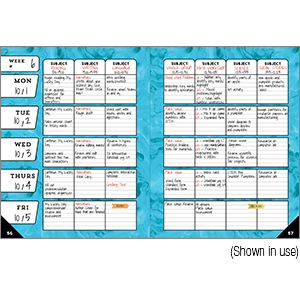 This planner features a durable spiral binding for convenience and provides a place to record important information for quick and easy access. 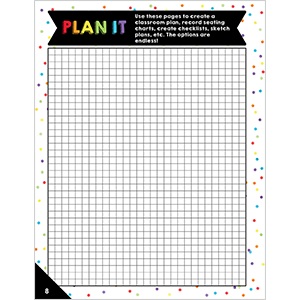 The monthly planning spreads allow you to plan goals and information for the month in one central spot. 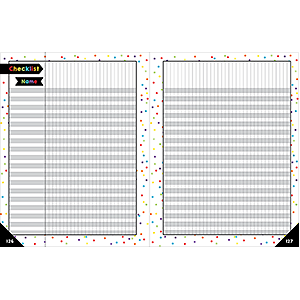 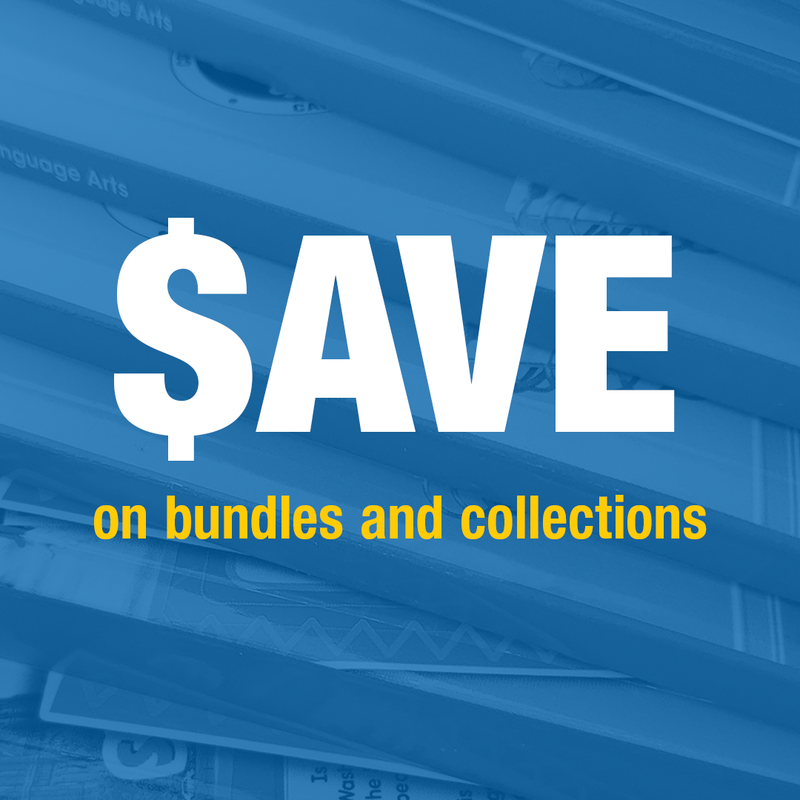 Each week covers an entire spread to allow you to record detailed notes and lesson plans. 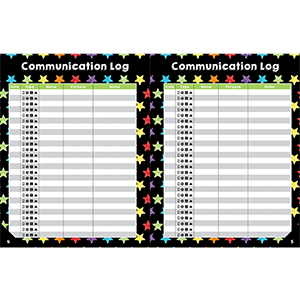 Use the checklists at the back to record grades attendance homework completion and more. 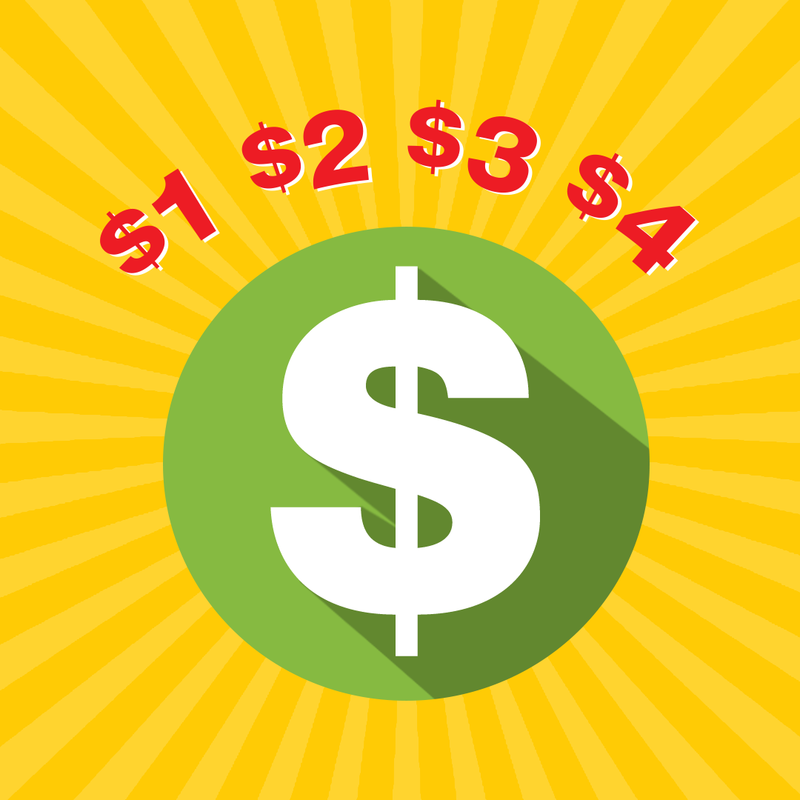 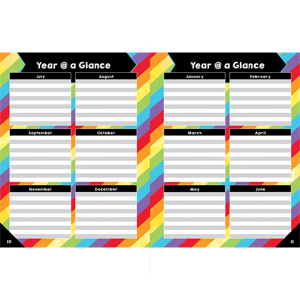 Check out other Celebrate Learning Planner Accents to create a cohesive classroom theme.